Machu Picchu. Without a doubt the main highlight of Peru, maybe even of entire South America. 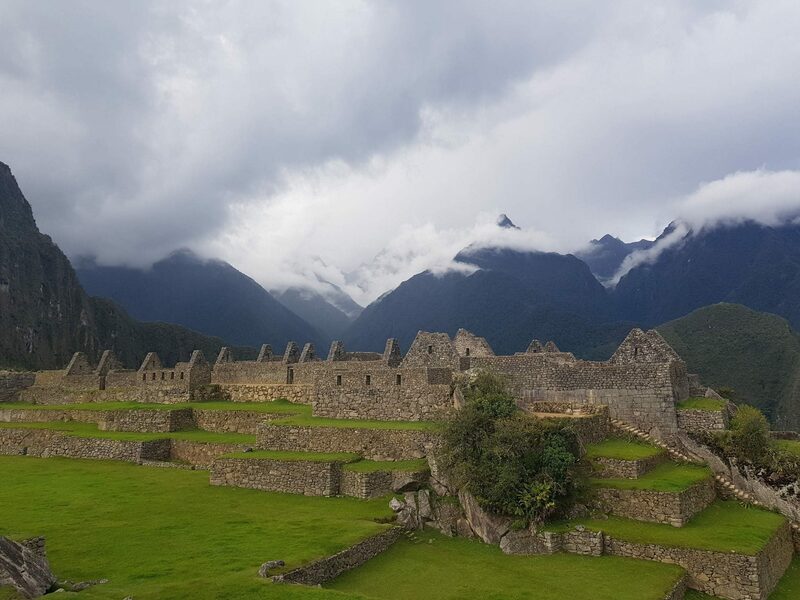 These old Inca ruins are visited by about 2500 people on a daily bases. 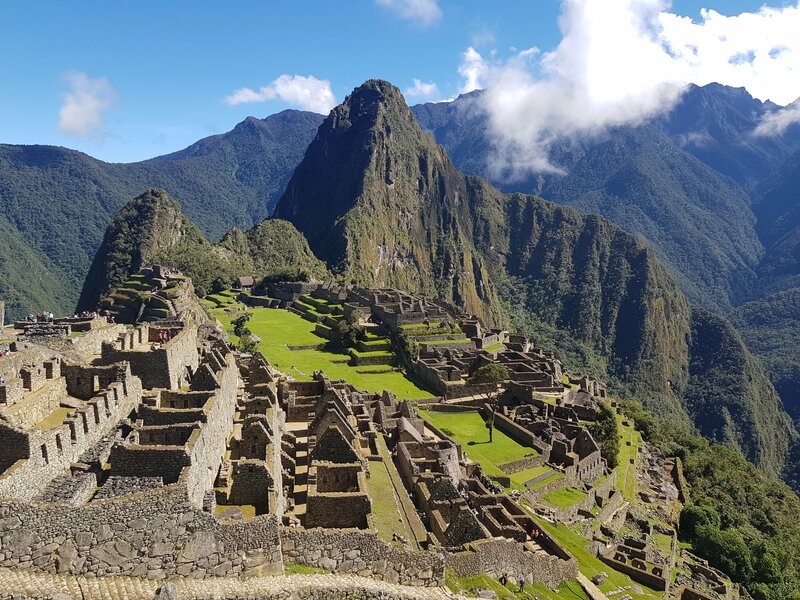 It is not a question anymore if you are going to visit Machu Picchu, it is more about when and how! In this blog we share our experiences. There are multiple ways to reach Machu Picchu. The most unique way is without a doubt a trail, like the IncaTrail or Salkantay. However, the costs of a trail are high and besides that you need to have enough time to actually do a trail. Another option is a bus. 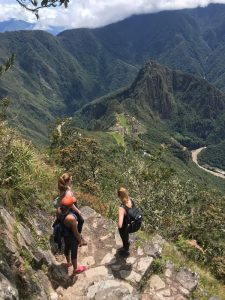 A lot of different agencies offer complete trips to Machu Picchu including transport, accommodation, entrance and meals. Going by bus is by far the cheapest option for visiting Machu Picchu. If you are on a budget, this might be a good option. However, going by bus is a very long, not really comfortable ride which is also considered to not be very safe. At last there is the train. The train is known as an expensive, but safe and comfortable option to visit Machu Picchu. We choose for comfort and travelled by train to MP. There are two different trainagencies: PeruRail and IncaRail. PeruRail was the first traincompany offering trainjourneys to MP. However, we choose for IncaRail, since ImcaRail is offering the cheapest tickets and besided that the appearance of the fancy office might helped convincing with making a choice as well. Our returntickets costed 105 euros, an acceptable price. Sometimes IncaRail is also having promotions, by which the prices can decline till only 75 euros. The price depends of course on the dates and times you choose. The tickets are most of the time cheapest if you travel early in the morning and return late at night. At 9AM we meeted up at the IncaRail office where we were being welcomed very friendly with coffee and cookies. With a full stomach we entered the comfortable minivan that took us to the trainstation of Ollantaytambo within two hours. Here the train was already ready and set for us. Luxury leathern seats and big windows for a panoramic view on the amazing environment during the trainride: you pay some money, but you will get a lot of luxury in return! During the ride we also got a delicious expanded lunch, which was included. Aftrr one and a half hour driving we arrived in Aguas Calientes, also known as Machu Picchu Pueblo. Aguas Calientes is a tiny village, with a market, a lot of restaurants and some mini markets. There is not a lot to do, but that’s of course not the reason why people visit Aguas Calientes. After a calm and rainy day we went to bed early in order to be full of energy while visiting MP the next morning. After a big breakfast we got into the bus around half past seven the next morning. The bus costs 12 dollars and brings you in twenty minutes to the entrance of MP. Walking to the entrance is also an option, it takes about one and a half hour, but you can better save your energy till you are at MP itself. From 8AM we were welcome in Machu Picchu. While it was raining so badly the day before, the sun was fully shining now and there was no single cloud to see. We also had tickets for Machu Picchu Mountain, one of the two mountains you can climb. Between 9AM and 10AM we could enter the mountain, so we had some time to admire MP first and take some pictures. It is so special to see this in real life through your own eyes! It seems almost unreal after you have seen MP on pictures so many times. Around 9:30AM we started the hike to Machu Picchu Mountain. This seemed tougher than expected! The path is actually a continuous staircase which is very steep. Besided that, the temperature started to rise even more. Even though it is said that you reach the top in about one and a half hour, it took us two and a half hour to get there. Quite longer so, but it was definitely worth the view! After the hike we visited the city ruins of MP. Wonderfull! When we left around 4:30PM, there was almost no one anymore. What a quiteness and what a difference compared with the crowds in the morning! We took the bus back to Aguas Calientes and were able to say that we just admired one of the seven world wonders! At 9:30PM we took the train back, got in the bus in Ollantaytambo and arrived around 1AM safely back in Cusco. What an awesome trip was this!